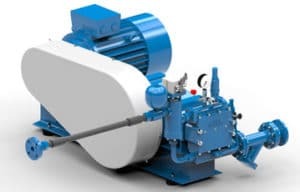 Atlantic Pump distributes Abel Pump Technology’s wide selection of pumping solutions, including Abel’s full array of diaphragm, high pressure, solids handling, and marine pumps. As a factory-trained distributor stocking Abel products, Atlantic Pump can meet your needs for local inventory or support for Abel Pump Technology products. Abel Pump Technology, which has provided pumping solutions since 1947, originally manufactured pumps for the mining industry. Abel now focuses on engineering and manufacturing reciprocating positive displacement pumps, producing a variety of pumps for extremely tough applications and difficult media. The company, based in Germany, distributes pumps throughout the world as a subsidiary of the Hillenbrand Group. Atlantic Pump distributes Abel in Maine. Atlantic Pump provides factory authorized service and repairs for Abel products, reducing your maintenance costs and installation time. With our inventory of Abel Pump Technology products, we are able to provide local inventory or fast shipments when you need them most. 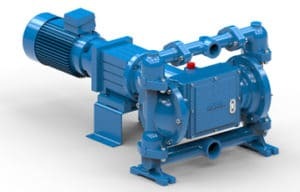 ABEL diaphragm pumps are specified for water and wastewater, ceramics, mining and minerals, chemical, oil and gas, energy, power plant, cement, steel, food, and filter press feed pump applications. Electromechanical Diaphragm Pumps provide robust pumping for low pressure applications. Compact Diaphragm Pumps are single or double-action pumps designed for difficult media. HM Hydraulic Piston Diaphragm Pumps are designed for high pressure and increased flow rates, up to 450 GPM up 1450 psi. HMQ Hydraulic Piston Diaphragm Pumps handle high capacities, high pressure, highly abrasive media. With their 4 diaphragm design, these pumps are able to transfer abrasive slurries up to 3522 GPM and 3625 psi. HMT Hydraulic Piston Diaphragm Pumps can transfer abrasive slurries up to 2640 GPM and 3625 psi. This simple operating, slow-running Triple Piston Diaphragm Pump is particularly suited for abrasive materials with an increased SC-content. 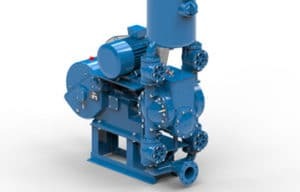 Solids Handling Pumps transfer dehydrated sludge or filter cakes, refill incinerators, and transfer paste-like mine slurry. ABEL’s solids handling pump solution conveys extremely abrasive, paste-like, and compact media (e.g. dehydrated sewage sludge) at high pressure – up to 880 GPM and 2300 psi. 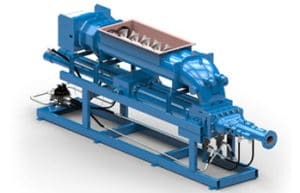 High Pressure Pumps from Abel include HP triplex filter pumps for high pressure cleaning up to 2300 psi, for cleaning filter cloths for chamber and membrane filter presses. 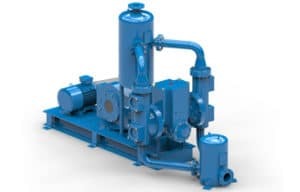 For very high pressure applications up to 350 GPM and 3625 psi, Abel VHP pumps withstand high pressure for extended periods of time, and are uniquely designed for the requirements of the media being pumped, such as salt water, salt solutions, acids, margarine, chemicals, or lightly contaminated fluids. Let us help you by filling out the form on the right.